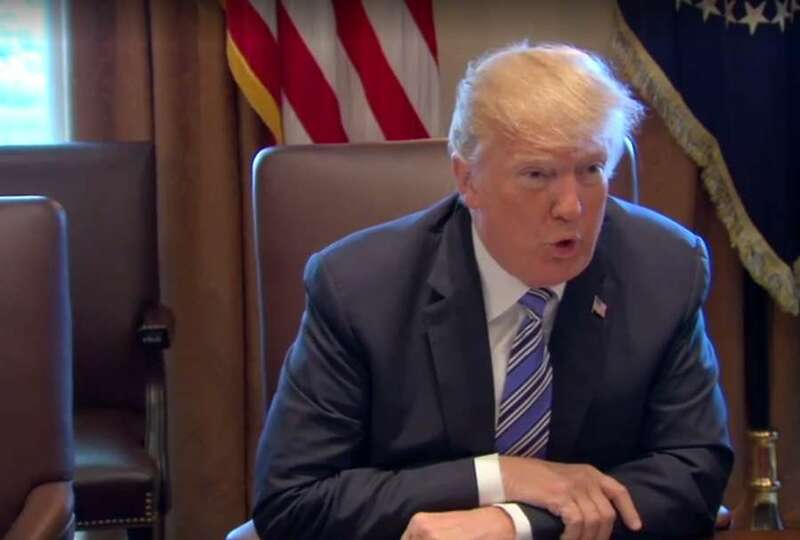 WASHINGTON – President Donald Trump today praised the Florida Legislature for passing "a lot of very good legislation last night," referring to the gun and school safety bill. "I want to congratulate the state of Florida and your representatives on some very good legislation that's been passed," Trump said at a Cabinet meeting. "I guess they've been listening to me a lot more because, unexpectedly, they passed concealed-carry for some very special teachers that have a great ability with weapons and with guns." Trump added: "I guess they liked what I said. … A lot of people were surprised. I wasn't so surprised. I think they did a great job in many respects." The legislation, now before Gov. Rick Scott, exempts personnel who "exclusively teach." Scott opposes arming teachers and major school districts have said they'd opt-out. Trump today will continue his focus on gun violence by meeting with video game makers, though studies have discounted any link to actual violence. Sen. Marco Rubio is scheduled to attend the 2 p.m. meeting.